This well-established sushi shop opened in 1950. The refined interior features a counter made with one board, and signs dating from the shop's beginnings. Sushi quality is related to rice quality, and the rice here has a reputation for being delicious. 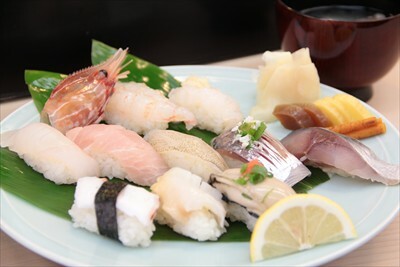 Many regular customers come and enjoy sushi here while conversing with the third generation shop owner.